Book a course and discover one of four famous German destinations! Our greatest strength is focusing on the basics – on teaching the German language! All of our energy and attention we devote to you and your desire for learning our language and to get to know our country and culture. We have gained plenty of experience over the years and today you can profit from our know-how. With more than 5,000 students per year, being officially acknowledged by the German Language Society and being member of EAQUALS, our schools in Berlin, Munich, Frankfurt and Hamburg are one of the largest and most renowned providers of German as a Foreign Language worldwide! If you want to get to know Germany and the Germans while you study the language you should decide for the Standard Course! The 20 lessons per week focus on the training of grammatical structures and on familiarizing with everyday vocabulary. If your goal is to make fast progress, this course with more than 24 lessons per week is the perfect choice for an intensive language training. Do you want to improve your German knowledge rapidly and reach as many teaching goals as possible in almost no time at all? With 28 lessons per week the course gives far more opportunities for considering personal requests and demands. This course is a specific preparation for the TestDaF examination which is a certification test for university applicants in order to proof the necessary language competence for studying in Germany. You would like to learn German quickly and intensively? You need German for your profession or your studies? In individual tuition you learn German individually: Your teacher strictly pays attention to your needs! Course is designed as individual instruction and is focusing directly on improving, refreshing and the acquisition of specialized and professionally oriented subjects. Our professional teacher will meet you directly at your company for giving you and your colleagues German instruction in individual or in group seminars. Teachers of German will experience German classes from a student point of view and will become familiar with the latest teaching materials and teaching methods. If you want to get to know Germany and the Germans while you study the language you should decide for one of our course options in Berlin, Munich, Hamburg or Frankfurt! Our school&apos;s philosophy is deutsch in deutschland (German in Germany) and this is our motto since our establishment in 1970. For more than 40 years we only focus on teaching German as a Foreign Language, and today more than ever we are convinced about the future prospects of our goal: The easiest way to study the German language is here with us in Germany! Because studying deutsch in deutschland means learning the language and getting to know our culture at the same time – our everyday and business life – exciting cities and many different types of countryside. To study German with us also means discovering Germany! The teachers create a friendly and relaxed instruction atmosphere. This stimulates our participants to lively and natural communication. 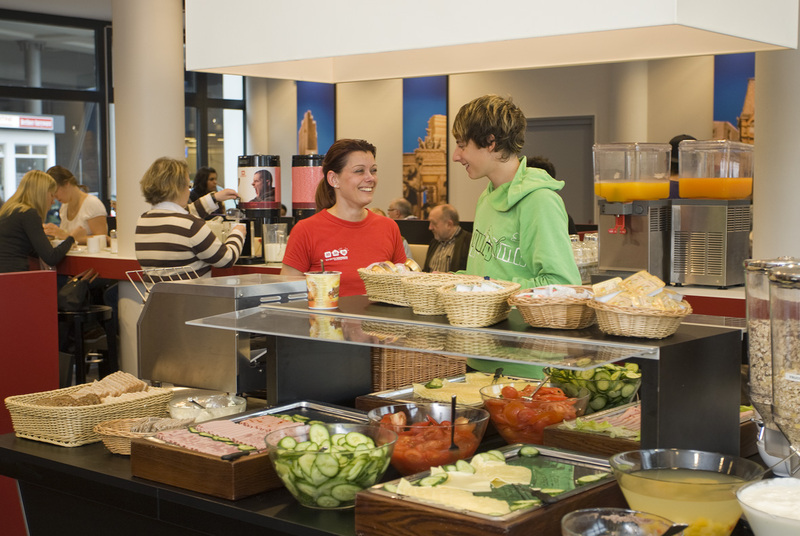 The school offers to its students optional accommodation in all 4 locations. 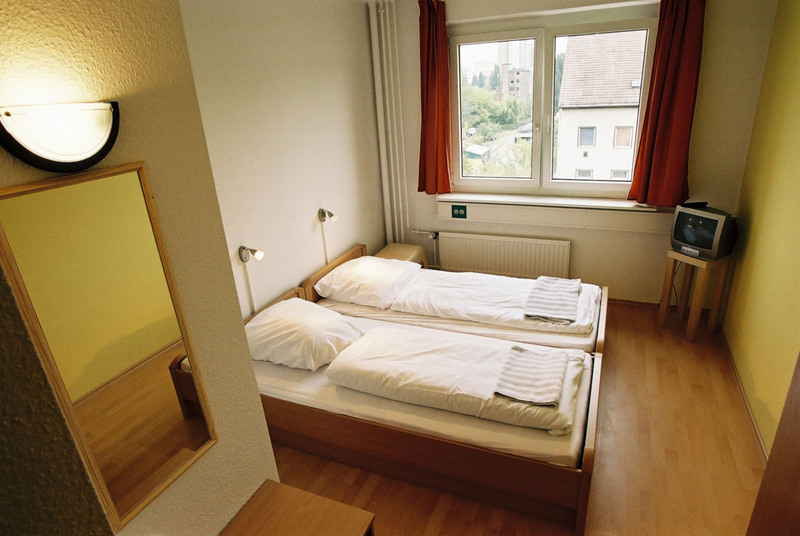 This way of accommodation is a long-time classic… and with a reason: If you decide for accommodation in a host family you will also learn German after class – very individually and completely relaxed – by being a new member of the family… We also take care that you share your room only with a student who has a different native language – in order to make sure that you can really speak German all day long. 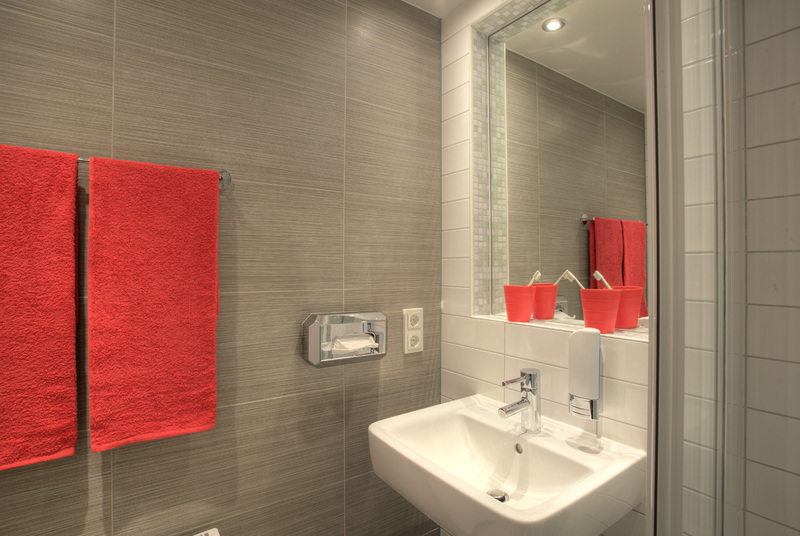 You will have to share bathroom and kitchen facilities with your host or hostess. Are you looking forward to live according to your own rhythm while being in Germany? To live in the same way as you are used to live at home? Then you should decide for accommodation in a youth hotel where you are going to enjoy your independence with other students. Discover a unique living experience in one of our student residences. The student accommodation is located in the heart of the city and only a few minutes away by public transport from our school. You can easily reach the main train station by walking. 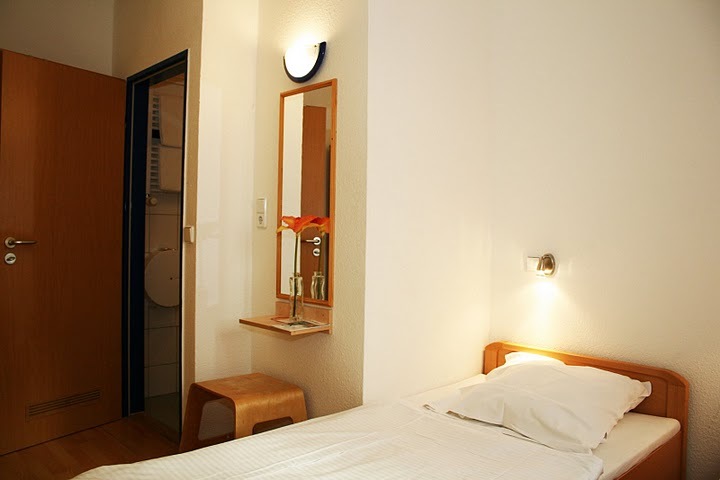 One-room apartment with 17+ square meters fully equipped with towels, linens, dishes, etc. Laundry room with washing machine and dryer (free use) , room cleaning once every two weeks included. In our activity program you discover the chosen city with all its sights. In addition you meet new friends with whom you can practice your German. Excursions with our activity guides in each city are not a must – some excursions, however, you shouldn’t miss! On our walking tours through the historical centers you’ll see places worthwhile discovering. On our activity program you’ll see the alternative cultural center Tacheles, the cultivated revue theatre Friedrichstadtpalast, the marvelous synagogue and the lively backyards of Hackescher Markt. Our activity guide will show you the few remains of the Berlin Wall, will tell you the history of the Reichstag before the Federal Parliament, on the Potsdamer Platz and many more! The first days in Munich will be exciting and exhausting – there‘s simply too much to do and to see in this town. Some visitors have no idea where to start the tour.. Relax! Your activity guide has arranged our activity program featuring all the Munich highlights. You will be taken on a discovery tour of Munich: Get high on culture in the Modern Pinakothek or on a tour through Castle Nymphenburg. Visit the home arena of the Munich football team, the FC Bayern München, in the new Allianz-Arena. Discover with us the famous English Garden - Munich‘s Central Park – where you can go on a boat trip or do sports right in the heart of the city and many more! You can discover exceptional historical and architectural sights in the Hamburg harbor area during the afternoons. On weekends we organize full-day excursions to different destinations. In summer for example you can travel to the North Sea and have a refreshing stay on the beaches and an excursion to the famous North Sea tideland. There are also excursions scheduled to the cities of Bremen and Lübeck, where exciting historic locations will be visited and the background of the Hanseatic League will be highlighted. You will also get to know world-famous sights like the Reichstag building and Brandenburg Gate on weekend-trips to Berlin and many more! We look forward to seeing you in Germany! “Die Leute sind hier auch sehr offen und freundlich. Und es ist immer sicher – die Stadt schläft nie. Jeder Tag hier bringt ein neues schönstes Erlebnis! I wanted to improve myself and learn how to speak german language: It will be one of the best memories in my life. I have not only learned the language but also discovered a new country and spent time with friends from all over the world. I can recommend that everyone come to Summer Study Abroad Program! Everyone there is very friendly, you get to know a lot of international students, there are many activities to participate in and the teachers are very motivating. A very enjoyable and culturally enriching stay and my German progresses everyday. Berlin is a beautiful city. I am extremely pleased I chose it to learn German.